The international agreements : Dublin III, bilateral agreements for expulsion, militarization of border control. 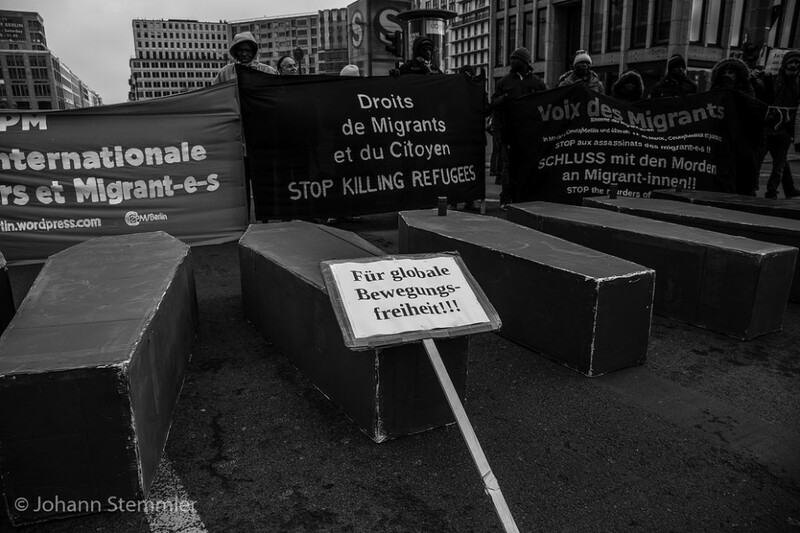 Humanitarian rhetoric of the EU, the “Saving Operations in the Sea” and the Visa policy. Accusation of the EU. Duldung of the Aufenthaltsrecht in Germany (precarious administrative status of foreign people tolerated on the territory). Sleeping in the street in Italy. Lampedusa in Hamburg / Lampedusa in Berlin. Caravan of the Undocumented and Migrants 2015 Bamako – Tunis.